CyanogenMod 11.0 for our devices was built by Dazzozo. SlimKat and SlimKat CAF are built by chil360, using Dazzozo's device tree as base. Now LineageOS CAF is built, using chil360's CAF device tree as base. Also display-legacy added! * Should be the same as for CyanogenMod 11.0 by Dazzozo. Screenshots also, until newer will be made. 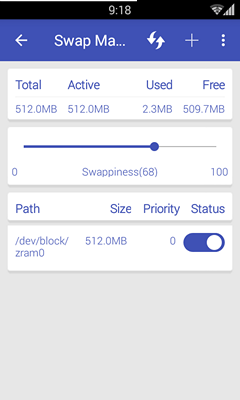 * FM Radio, FDroid, getChromium, K9Mail are added. 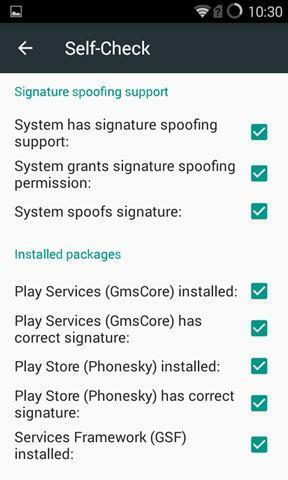 * ROM has signature spoofing. * chil360"s kernel, good old SlimKat legacy kernel, compiled with UberTC 4.9 - NO kernel panic at all. - MAJOR bug, for now: apps using WebViewClassic are crashing (Browser, Opera mini, Via, etc...). Chromium and Dolphin browser are working. - MINOR bus, for now: Nanomod-microg 7.0 can not connect to Google Account, 7.1+ freezes "Sign in" and "Cancel" buttons. 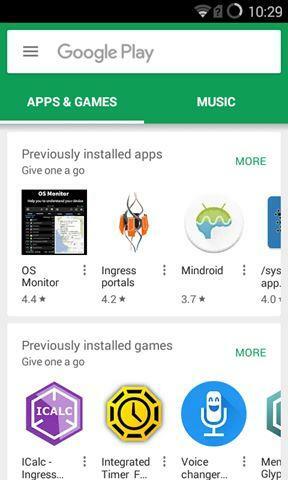 OpenGApps works fine. + WebviewClassic is enabled now. All browsers (both webviews) should work. + Legacy build has changable zRAM size (64/128/256/512 MB) from build.prop, also has WakeLock blocker in Settings>Performance. + Flash latest microG (currently 17.1) and flash microG-oldGPS from microG-7.0, reboot, enable all check-ins in microG settings, Sign-in for Play Store works. Sign-in to Google account, agree to contracts. But still can not connect to Play Store. Flash then latest microG again (since you signed in, restore latest GPS) and try again. It works now as it should or reboot again. Update CAF: Kernel 3.4.110 is compiled with newer toolchain, wifi upload is not fixed yet, but SOMETIMES works, from /storage/sdcard1, no matter swapped internal or external. There are default version (48MB zRAM) and bigger swap version (128MB zRAM). Both working. Same zImage (with /wifi dir) could be repacked into kernels of other KK-CAF and LP roms that have common problem wih wifi uploading (SlimKat CAF, SlimLP, CM12.1, OctoOS-KK, DU8.2, AICP 7/10, RR 5.5.x). Update Legacy: Kernel is old 3.4.104, compiled with newer toolchain, seams little faster than CM11. 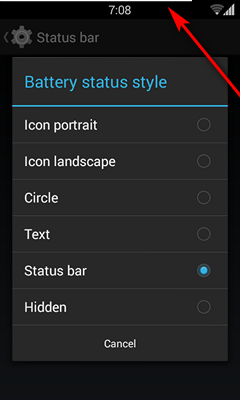 Default zRAM is 128MB, new battery bar in status bar, wakelock blocker, FM Recording has now notification, call recording is enabled but can not record calls in amr-wb nor aac... Xposed Framework still don"t work! Hi Adeii, bug wifi upload depends on toolchain or CAF source? ps. vee3 not have this bug. Still do not know cause of kernel panic. First time with new toolchain, upload works from both SD, with big files 20+ MB with no problem. Next day, do clean install rom+kernel and reboots started. Maybe some goverment/scheduler combination workaroung kernel panic. Also xposed framework cause bootloop (http://review.cyanogenmod.org/#/c/118800/). Maybe key is in vee3 device tree. Next time, LOS11 will be with display-legacy and see what will happen. update1: kernel 3.4.104 in slimkat9.1 legacy works fine, but kernel 3.4.104 to 3.4.110 in slimkat9.1 / LOS 11 display-caf cause reboots. Weritos' kernel 3.5.7 also reboots. On the other hand, kernel 3.4.104, ubertc 4.9, in slimkat9.1 legacy also cause boot but with "init" and "wifi" drivers from older kernel 3.4.104 solved rebooting. Hi, you build Weritos kernel and Weritos wifi driver in kernel? I combine Weritos kernel and https://github.com/jsr-d9/android_kernel_msm, wifi working fine in port cm11 from d9 in my u8951d. ps. I build postmarketOS for vee3, but not boot in system, debug-shell ad charging-sdl work. Can you add dmesg or last_kmsg with kernel panic? Is CM11 from D9 to u8951d legacy or CAF? Tried to port it from d9 to u8951: no wifi with d9 kernel or got wifi but panic on upload with chil360 mm kernel. 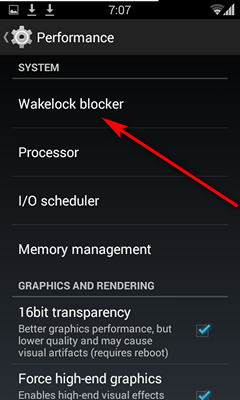 what is the version or rom that you recommend for u8833 models of only 1 chip, and do not have so many bugs and most importantly when you enter a call this can be answered because there is the problem of the black screen and everything is blocked or as drastic it reboots does that rom exist without these bugs and what do you suggest? 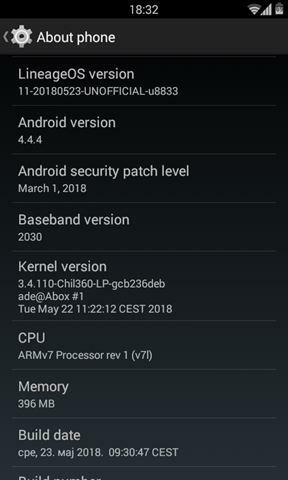 Rom without many bugs : android 4.3 or 4.4.x roms with display-legacy and with turned off proximity sensor with initd-noProximityMedia patch will work. It's about reboot: my wife has a Orange Daytona (I don't know if would be interesting) with Legacy branch installed. It was like sometimes the phone was into reboot: you took the phone and it had the unlock SIM screen. Orange Daytona is a G510 perhaps special made for Orange. The other day she was typing a mail in the phone and suddenly the "unlock SIM" screen arise: not the screen with Huawei in reboot neither Lineage OS screen, only SIM screen. She unlocked the SIM and next screen was for the mail she was typing. So I think that reboot is not occurring, but a something like an SIM invalidate or something so, I don't know. - fixed: chil360-kernel-MM 3.4.110 + toolchain GCC 4.8 = no kernel panic, wifi upload works fine! Read the next comment please, excuse me for this empty comment. - fixed: chil360-kernel-MM 3.4.110 + toolchain GCC 4.8﻿ = no kernel panic, wifi upload works fine! Could you please upload a build of the " fixed: chil360-kernel-MM 3.4.110 + toolchain GCC 4.8 " kernel IMG so that I can install the latest CAF build for Y300-0100 with no bugs in wifi uploading ? I guess it would be boot-LOS12-mm or boot-CM12-mm-wifi last ones that are built.